CALTANISETTA, Italy (CNS) -- Italian youth lead the lively Sunday worship at St. Pius X Catholic Church in this southern Sicilian town with the help of an African migrant picking up the playful rhythm on a drum. 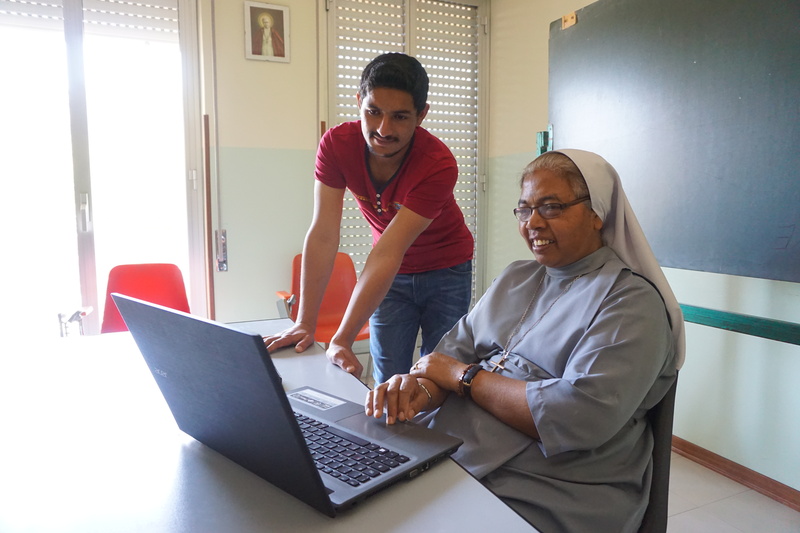 The nuns give practical help and emotional support to scores of migrants flooding Sicily's shores. The U.N.'s International Organization for Migration said that as of July 3, more than 85,000 migrants—of the more than 100,000 crossing the Mediterranean—landed in Italy this year. The nuns give practical help and emotional support to scores of migrants flooding Sicily's shores. The U.N.'s International Organization for Migration said that as of July 3, more than 85,000 migrants landed in Italy this year. All of this, just before making the deadly voyage across the Mediterranean, often in unseaworthy vessels -- a trip that can cost $5,700.